The Android saga begins 3 years after Trunks left, and the fighters all are headed for the location of where the androids will be. All of the Z team show up, and even Bulma shows up. Then when they're waiting for the Androids to appear, Yajorobi lands on the mountain they're hiding at. Yajorobi gives them Senzu beans, then flies back towards the tower that Kame and Korin's tower, but he is shot down by and Android. The Z team relizes they can't sense the Androids, so they do it the old fashined way, with their eyes. None of the fighters find them, but Yamcha hears a scream. He goes to investigate and meets the 2 Androids, not knowing until the very end that the Androids were whom they were, Yamcha ends up having a hand in his chest right after he told the others. The rest of the team investigates and finds Yamcha. The Androids allow Krillin to take Yamcha away, and Krillin gives Yamcha a Senzu. The names of the Androids are 19, whom was a pale, fat man, and 20, who was looking at least 55 years of age with long gray hair. 20 tricks Goku into allowing the city to be destroyed, and Goku gives 20 a licking in the face. 20 then decides they need to go toa deserted island, and that's where 19 and Goku start their battle. Piccolo tells 20 that one thing they forgot is the battles in space, and they mentioned that Goku was a legendary Super Saiyan. Goku turns Super Saiyan and 19 attacks him. Barely showing any effort, Goku dodges 19's attacks. Then Goku starts beating the lie out of 19, but seems tired even though he hardly uses his power. Then Goku attempts to fire a Kamehameha, and it looks like he'll kill 19, but 19 absobs the energy from the blast and it makes 19 as powerful as before. Goku then starts to tend to his chest and Gohan reconizes what is happening. Goku is having a heart attack due to the virus Trunks spoke of. An attempt to make Goku feel better, Krillin whom had returned gave Goku a Senzu. However, it doesn't work. As Goku gets the energy sucked out of him, the rest of the Z team has to deal with 20. 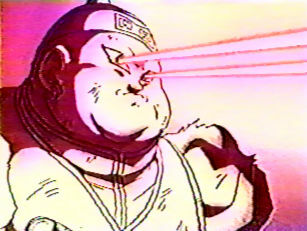 Piccolo attempts to get to Goku, but gets shot in the chest with 20's eye laser. Then out of nowhere, Vegeta shows up. Vegeta knocks away 19, then starts smart-mouthing (the usual taunting, teasing, etc.) Vegeta then mentions that he too is now a Super Saiyan. 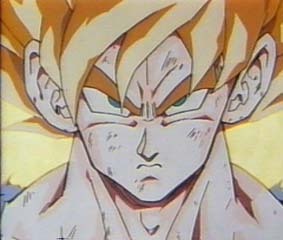 Then he powers up, and his power reaches above Goku's power level. 20 believes that Vegeta is still too weak to challenge him or 19, so he does the taunting, etc. 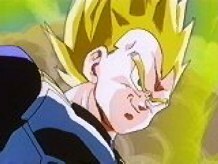 19 battles Vegeta and starts to get the shiznut kicked out of him. Finally 19 gets a hold of Vegeta and starts sucking the life out of him, but Vegeta rips the Androids arms off and kills him easily. Then Vegeta, looking like it was nothing, started to taunt 20. Seeing how easy it was for Vegeta to take care of 19, 20 ran like heck. Vegeta then ordered Krillin to give him a Senzu. Vegeta, after getting a Senzu goes after the fleeing Android. At about the same time, Trunks came back to help the fighters kill the Androids. 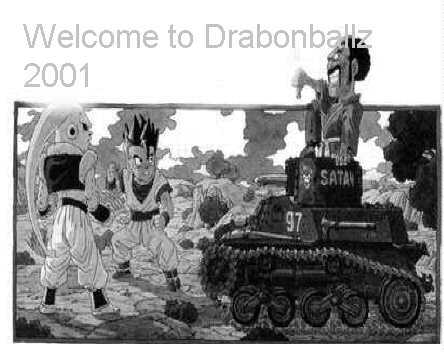 Trunks arrived at the old battlefield, and saw 19, but it was somehow different from his Androids. So he then went where he felt his father Vegeta, and the others. 20 was being attacked by Vegeta and being senselessly beaten into a bloody pulp.